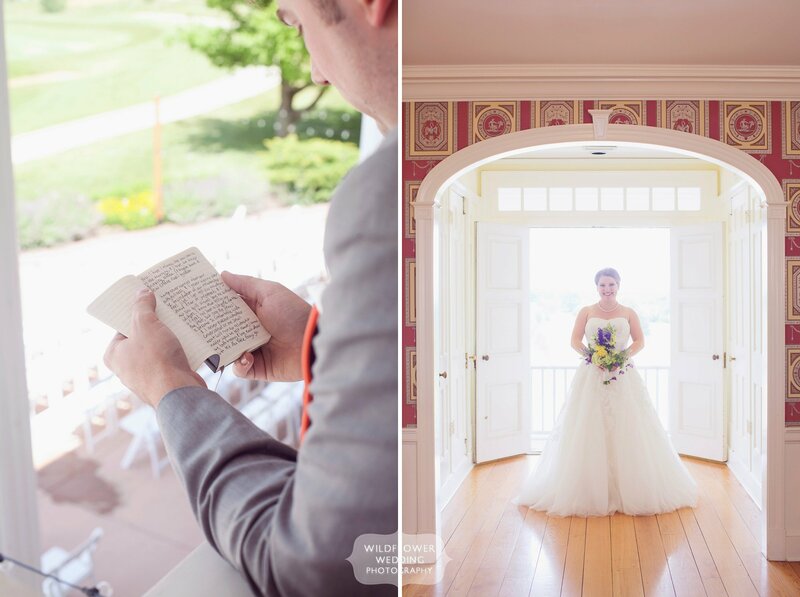 Chuck and Maggie had a lovely summer wedding at the Club at Old Hawthorne in Columbia, MO. 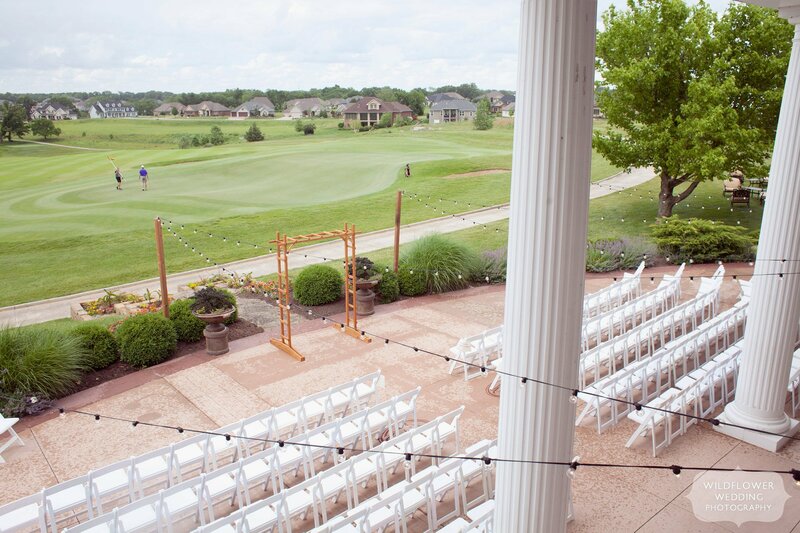 This was our first time at this outdoor wedding venue in Mid-Missouri. Who knew driving golf carts could be so fun?!? You might remember this sweet couple’s engagement photo session at Stephen’s Lake Park last fall. 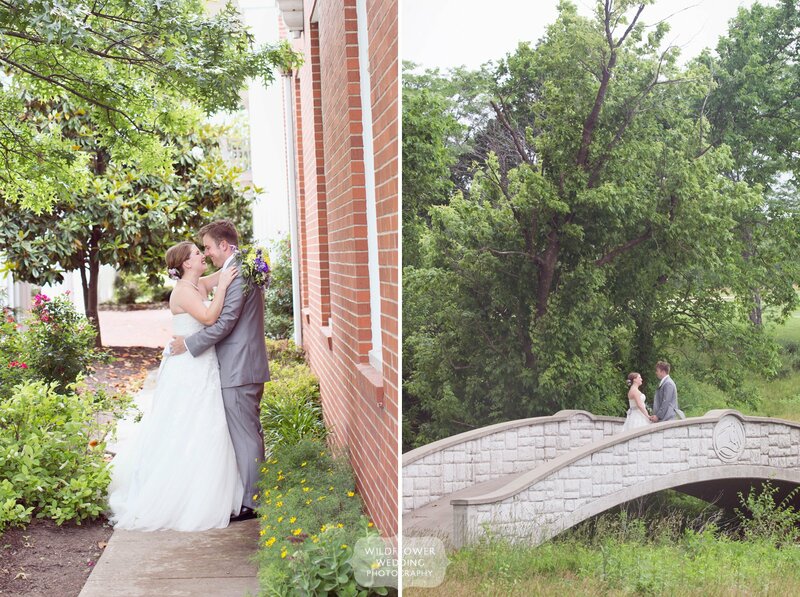 After their session, I knew that our style of documentary wedding photography would be a perfect fit for their big day. Maggie wore a stunning fairytale style wedding dress that she wasn’t afraid to alter on the wedding day. My kind of girl! Chuck looked dapper in his slate gray suit with a lilac vest. Happy Hollow Farm and the Flower Hill Farm provided all of the flowers. We love working with local vendors for florals! After the first look between Chuck and Maggie, we had some fun with the golf carts and the wedding party. These two had a fairly large wedding party of 16 people, but everyone was so organized and on time! These attendants could quit their day jobs and teach classes on how to create a calm wedding atmosphere! One of our favorite things about this venue was the option to have all of the dancing outdoors, under the stars. There is something about dancing outside under twinkling lights and the rising moon that is just magical! The DJ, of Complete Weddings & Events, was also AWESOME, and we couldn’t get enough of his own moves from behind the speakers. Congratulations to this very happy couple. We loved spending the day with you and your families and hope you have a wonderful honeymoon in St. John!